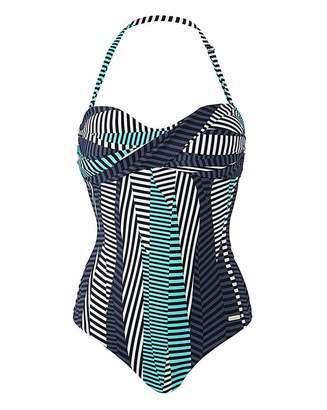 SUNSEEKERER High neck swimsuit with side twist design. 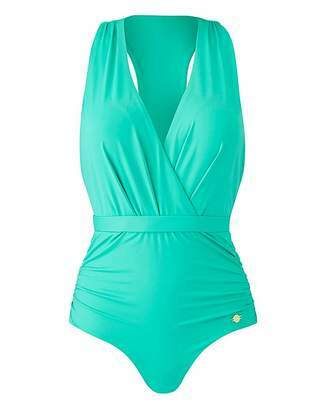 Halter strap is adjustable and ties behind neck. Inner light moulded soft cups for added shape and support. Fully lined. Medium leg height. Premium soft microfibre fabric.